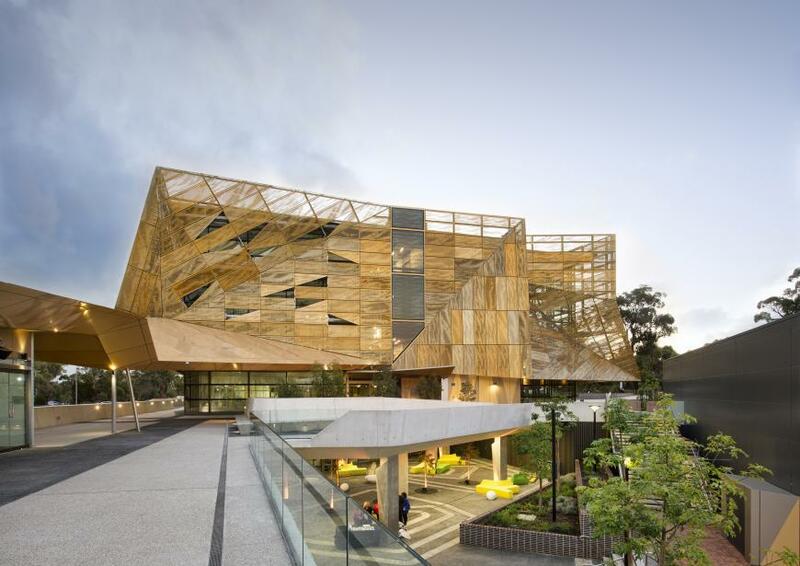 Forty two Australian projects have been shortlisted for the World Architecture Festival 2015 Awards. Australia had the most projects shortlisted out of the 48 countries up for the awards, followed by Britain with 27 and Turkey with 19. Australia really shone in the House-Completed Buildings category, with five homes shortlisted; and the Higher Education and Research - Completed Buildings category, making up eight of the 17 shortlisted projects. Australia also had five buildings shortlisted in the Health-Completed Buildings category. Winners of the awards will be announced at the World Architecture Festival at the Marina Bay Sands in Singapore from November 4-6, 2015. Griffith University Health Centre, Gold Coast - Cox Rayner Architects in Association with Hames Sharley (Health-Completed Buildings category).